Soccer season is underway with the Mira Costa boys and Redondo girls squads earning top-10 rankings in their respective CIF-Southern Section polls. Mira Costa’s boys are ranked No. 8 in Division 1, winning their first two contests beginning with a 4-1 victory over Santa Monica. Josh Gaudiano scored twice, Dillan Argue recorded a pair of assists while Malcolm Kluth and Pedro Rodriguez-Borlado each scored one goal. The Mustangs then defeated Long Beach Millikan 2-1 behind goals of Gaudiano and Dilon Swartzlander. 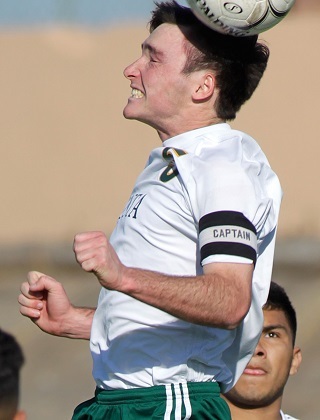 Mira Costa shut out Jordan 4-0 on Tuesday and will take on visiting Artesia in a 3 p.m. contest Thursday. This weekend, the Mustangs will compete in the High School Showcase playing Channel Islands (Friday at San Marcos HS), Ventura (Saturday at the UCSB Recreation Center) and San Clemente (Saturday at Cate HS). The team opens Bay League action Tuesday at Peninsula. Redondo (2-2) is looking to rebound after suffering defeats to El Segundo and Cabrillo. The Sea Hawks played Roosevelt in the South Bay/Westside Tournament on Tuesday and will play at Leuzinger next Tuesday. Sophie Crouts has played a vital role for Redondo’s girls soccer team that is ranked 4th in the CIF-Southern Section Division 2 poll. 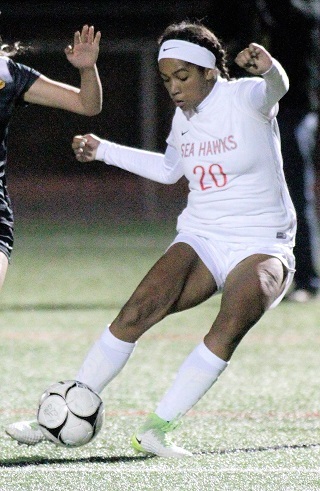 After defeating North Torrance 3-1 in its season opener, Redondo’s girls squad beat Bishop Montgomery 3-1 behind Carolyn Koutures’ two goals and Sophie Crouts’ one goal and an assist. The Sea Hawks remained undefeated beating Santa Monica 5-1 on Monday and hosts San Pedro today. Redondo will play at South Torrance on Friday before hosting Marymount on Monday, Leuzinger on Tuesday and West Torrance, the fourth-ranked team in Division 3, on Thursday, Dec. 13. Mira Costa’s defense helped the Mustangs get off to a fast start shutting out Santa Monica 9-0 and Lawndale 8-0 then Torrance 2-0 on Monday. Mira Costa hosts El Segundo in a Friday game then plays at West on Tuesday.